Is there anyone that you may have offended or are harbouring malice towards? No position is permanent; you don’t know where you will be tomorrow or where they will be. You may need their help, just like Joseph’s envious brothers needed his help in their time of distress and need. Joseph still loved and honoured his brothers by giving those provisions for free in a time of famine. Joseph’s aim was for them to realise that he was their brother, without having to explicitly reveal himself. Are we able to love and care for those that have committed the highest offense to us? 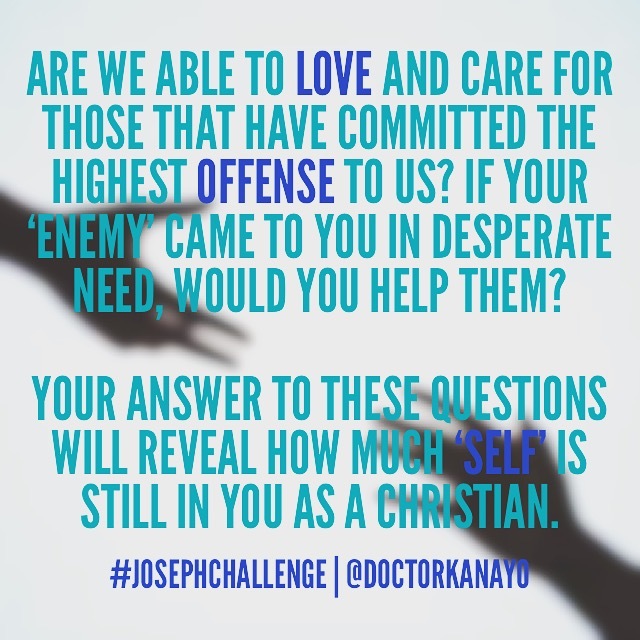 If your ‘enemy’ came to you in desperate need, would you help them? 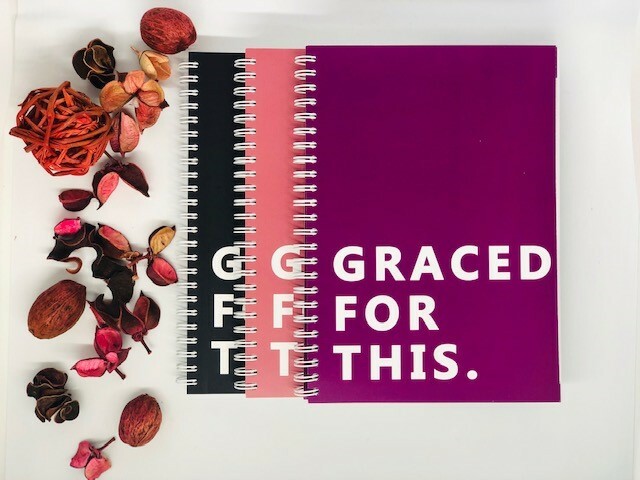 Your answer to these questions will reveal how much ‘self’ is still in you as a Christian. the desert. Joseph was sold for 20 pieces of silver and Jesus was also sold for 30 pieces of silver. Verse 22 is interesting as it shows the beauty and holistic nature of God’s word. In this verse, Reuben speaks up by saying ‘we must give an accounting for his blood’. In other words, we must pay for killing Joseph (who we know was not really dead).However, in Genesis 37, we read that Joseph’s brothers killed a goat and dipped Joseph’s special coat in the blood of the animal, as evidence of his death. What they didn’t realise is that by doing that, they made a sacrificial atonement for his life. The life of that goat became a substitute for the life of Joseph. Joseph could have died in that prison, he could have died in the hands of Potiphar after the incident with his wife, he could have died on his way to Egypt, but despite all of the challenges, he still survived…why? Because the blood of that goat kept availing for him, just as the blood of Jesus avails for us. 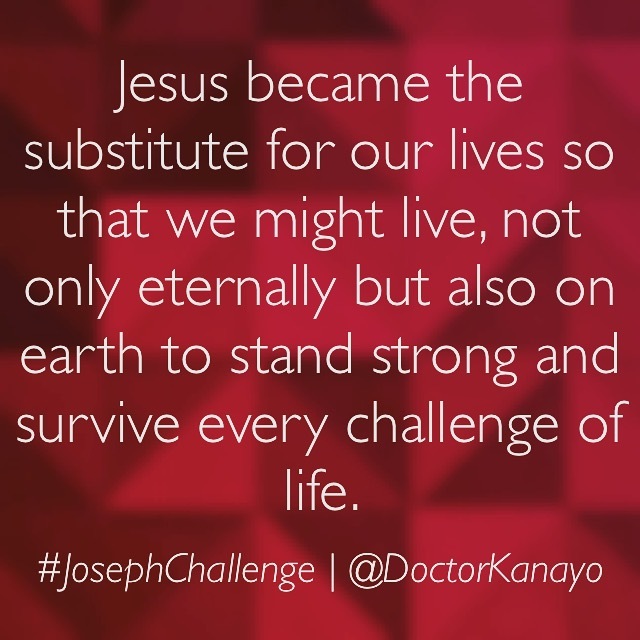 Jesus became the substitute for our lives so that we might live, not only eternally but also on earth to stand strong and survive every challenge of life.